Located near Speightstown, St. Peter on the oceanfront, is Leamington Cottage, an enchanting one bedroom self contained cottage which forms part of the Leamington estate. The bedroom is air-conditioned with a king size bed. An iPod dock is in the bedroom. High speed ADSL internet access with wireless connection is available to guests who bring their laptops. Watersports are available at the beach north or south of the Cottage. The cottage maybe rented separately or together with the main villa, Leamington Pavilion, which is located next door and includes 4 en suite bedrooms and a large swimming pool set within impeccable tropical grounds. 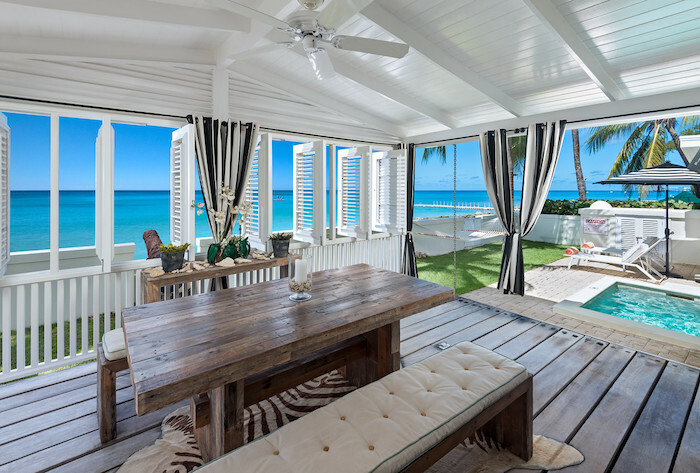 Leamington Cottage is a beachfront home. There is a reef in front which is ideal for swimming and snorkelling and a sandy beach is located to the north or south of the property which is easy to walk to. It should be noted that beaches change their shape and size from day to day, week to week and month to month, mainly as a response to seasonal waves, currents and tides. Every effort has been made to depict the beach in front of this property, but temporary changes may occur. The Cobblers Cove beach and Hotel is a five-minute beach walk walk north of the Cottage. As with the main villa the Cottage comes fully equipped and staffed with a daily housekeeper/cook and is ideal for a couple or someone traveling alone, or in the event that the main Villa is booked and additional space is required. 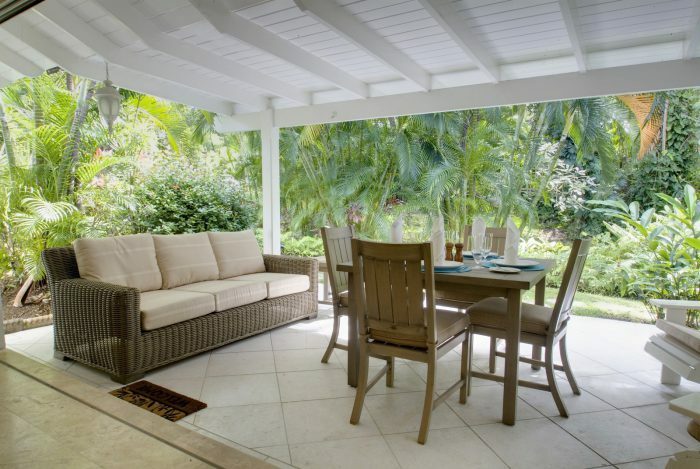 This charming two bedroom cottage is part of the larger Bluff House estate yet still maintains its own privacy in a tranquil setting among tropical gardens with the famous Sandy Lane beach just steps away via a private pathway. Holetown with fabulous restaurants and shopping is a short walk away. Stylishly finished and furnished this delightful cottage with a dipping pool sits at the water's edge in a peaceful village just north of Speightstown. The villa is off the beaten path and provides solitude and privacy, yet the excellent Fish Pot Restaurant is mere steps away and Speightstown is a 5 minute drive.